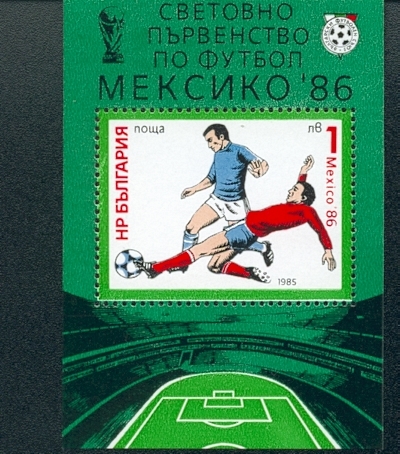 FRENCH Stamp (SG612 value 1.75F) issued to commemorate hosting the 1938 World Cup - shown below mint �. 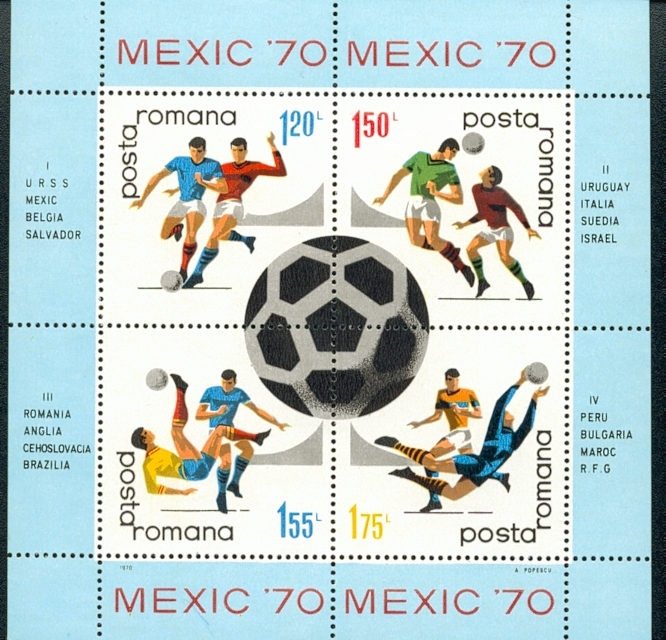 This was the only postage stamp issued by any country for the 1938 tournament. 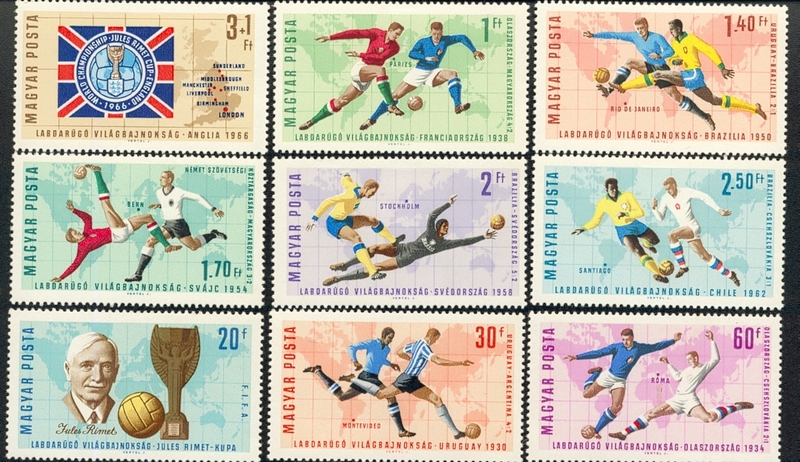 1966 World Cup, Maldive Islands Miniature Sheet �50, Ghana Miniature Sheet �, Poland Miniature Sheet �50. WEMBLEY - THE END OF AN ERA, LIMITED EDITION OF ONLY 20. A strictly limited edition commemorative issue to mark the end of Wembley Football Stadium. 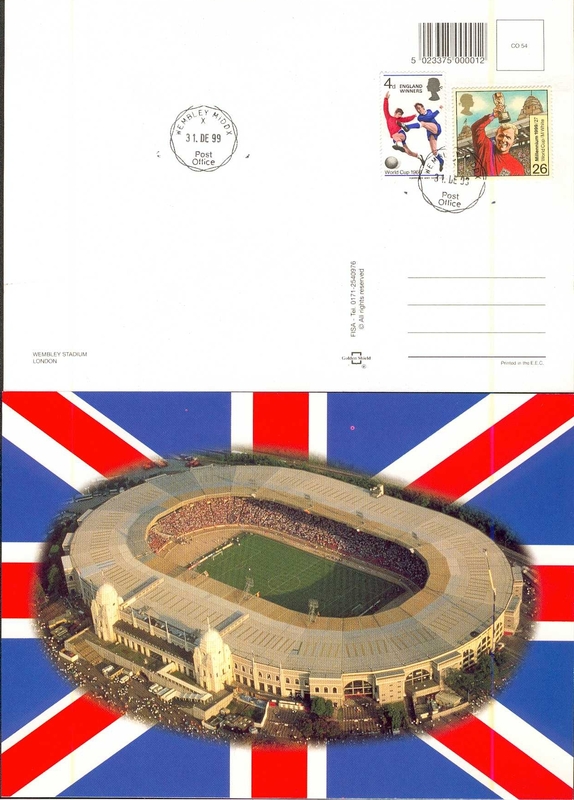 Shown below (front of the card is shown at the bottom), the Wembley Postcard has been hand stamped to the reverse on New Year's Eve 1999 with the Wembley postmark. 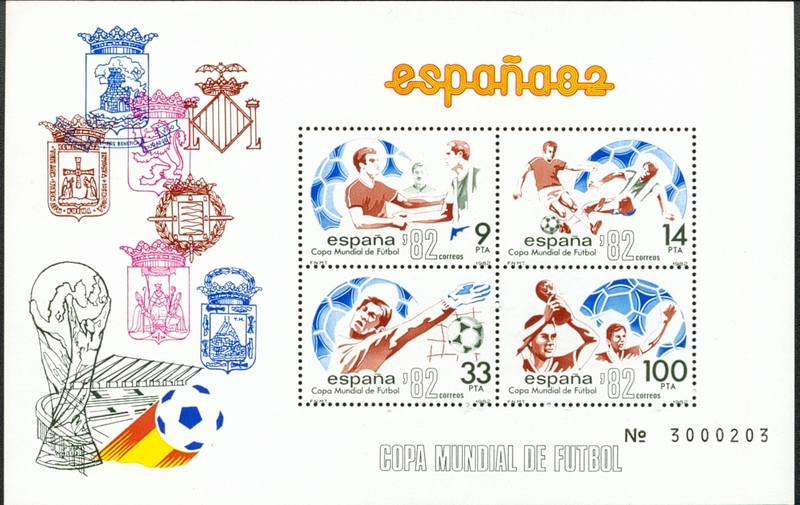 The back of the card (shown below in the top half) also contains an original 1966 England Winners stamp and the special Millenium Edition Bobby Moore stamp showing him with the Jules Rimet Trophy at Wembley. TWENTY ONLY PRODUCED. Cost, including postage and packing, � each.